Hello everyone, I have a lenovo yoga 500 15isk. The problem with it is that it won't detect my charger anymore. Since I noticed it a bit to late the battery is now dead and I cant run any tests or Software updates. This happened before but the charger then worked again after I plugged it out and in again, this time thats not the case. So if anyone has any suggestions i'd be glad to hear them. If you have active warranty then it would be best to have it reported to technical support. You may also proceed checking if the charger is the problem following the power checkout guide here (page 21) if there is no other compatible charger available. Common to power issue is the DC in port that also be worth checking for loose contact specially if the machine works with battery before the power got depleted. I have this helps answer your query. Have you verified that it is not simply a bad charger? 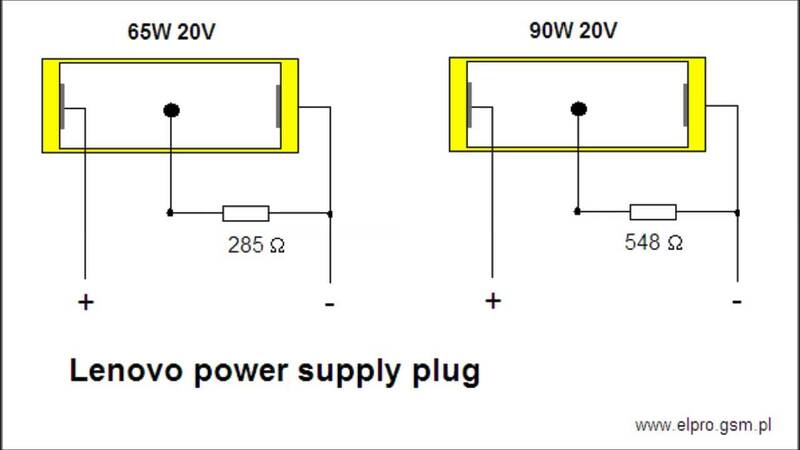 You can use a multimeter to test the DC voltage output of the AC Adapter/charger by testing from the outside (ground) to either of two 20V DC contacts inside, but be very careful to not short either of the 20V DC contacts inside the plug to the center sensor pin. With the AC Adapter unplugged, you can can also test the resistance in Ohms between the the center pin and the outer ground to verify that that it shows approximately ohm reading shown shown in the diagram below. If the center sensor pin is not working properly, the laptop will not sense that a proper charger is attached and will not charge, so it is likely the center pin on either the AC adapter or DC-IN jack that is the culprit if your AC Adapter is putting out 20 volts. If the AC Adapter checks out OK, then I would suspect it could be a worn DC-IN power jack, which over time stress can cause them to fail. If your system is still under warranty, you may want to have it repaired by an authorized Lenovo Service Center, but if it is out of warranty, it is not a very difficult part to replace, because fortunately on your model, the DC-IN jack is fairly easy to replace once you remove the base cover, internal battery, and loosen one of the hinges. You may not need to actually remove the internal battery to fish out the cable connecting the DC-IN jack to the system board, but you should still unplug the battery from the system board as a precaution even though you may believe it to be already discharged. Note: Be sure read keep track of what screws go where, because they are not all the same length etc, and putting a long M2.0 × 6.0 mm cover screw in place of the shorter M2.0 × 2.5 mm screw used to secure the battery will likely cause damage. Also read and follow the precautions on Page 31, especially the part about grounding yourself if you work in an area prone to static, and be gentile while removing the connectors, because nothing should require any heavy forces to remove. 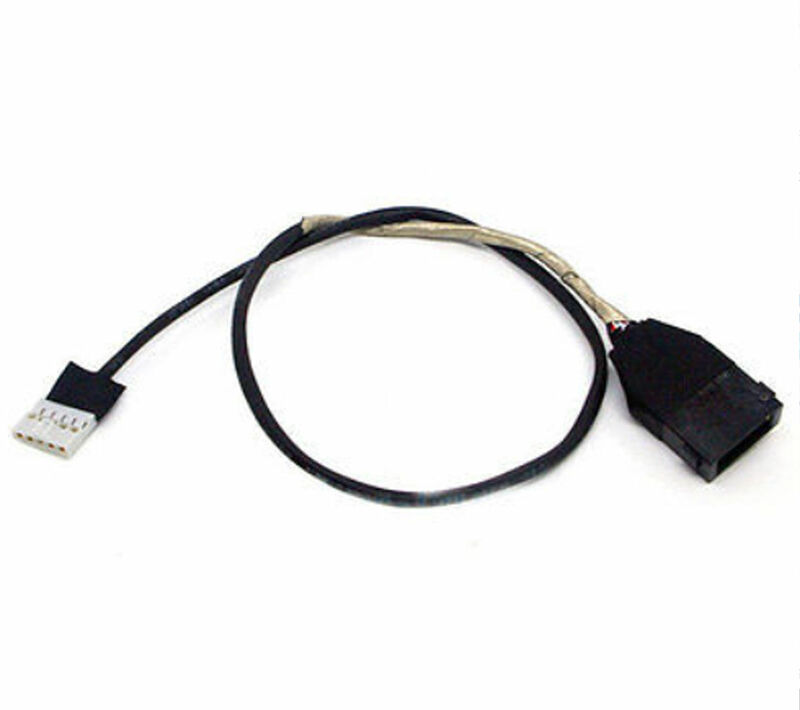 The DC-IN cable for the Yoga 500-15ISK is part #5C10H91237 is available from Lenovo Encompass parts here for $8.98 USD and is shipped worldwide, but it may also be available locally in your region too. The Hardware Maintenance Manual shows location of the DC-IN cable on page 52, but if you read back a few pages, you can see that not much needs to actually be removed to gain access to replace it.